Long used in traditional herbalism and throughout history in the practice of paganism and witchcraft, Cats Claw is not generally well known among the populace. It has a kind of witchy name, with cats having a reputation as being familiars and guardians for witches. How witches got such a horrible reputation I’ll never know! All the witches I have ever known like to drink Wine, dance naked and grow herbs. Very few of them care about turning anyone into a toad. But this reputation, deserved or not, has sort of bled over onto the kitty cat, too. It is true that black cats are rare because they were associated with Satanism throughout history and were killed as “evil spirits”. People began breeding black cats with white cats to keep them from being burned, shot or strangled. That’s why there are more black and white cats today than purely black cats. But enough of my historical lore chatfest and on to the subject at hand: Cats Claw. The herb also called Una de gato. Cats Claw is mostly found in South American rain forests and must be wild harvested and cannot be grown successfully on an ordinary farm. Most of the wild harvesting is being done in Peru and Brazil. 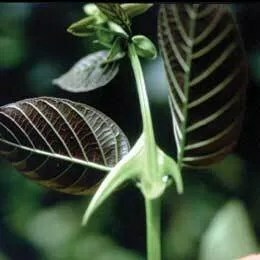 It is prominently used in South American folk medicine and is often associated with Santeria… another dark religion that people mostly scorn. The herb has absolutely no use in cooking or in any form of edibles, for that matter. It is only used in medicine. But Cats Claw is not commonly used in witchcraft or pagan rituals and for those who think it’s used only by witches, I must point out that you are probably thinking of Cats Eye, Cats Foot and Cats Milk, which are indeed herbs only used by witches and no one else. Witches also use Catnip, Costmary and Basil just like you do but the Cats Eye, Foot and Milk herbs are used only by witches in their herbal healing practices. Now that we have all of that straight and we now know what herb is what, I want to give you a wonderful pharmacopoeia of uses for this lovely herb. It has a long history in herbal healing, dating back to the middle ages, and the uses are proven safe and effective for most of us. However, here are the warnings I must issue: DO NOT USE if you have an Autoimmune Disorder (Lupus, MS, HIV, Tuberculosis, etc..) or are immune compromised. Safety is not assured for women who are pregnant or nursing. In many countries it is illegal to mix Cats Claw with hormones, insulin, blood plasma or vaccines. I would suggest you avoid doing this anyways. As always, consult a doctor before treating yourself with any herb. And with that said, here are the recipes for some great remedies using Cats Claw. This tea can be used for most intestinal and gastric disorders. Simmer one tablespoon (1 Tbsp) of Cats’ Claw Root Bark (ground down like coffee) in one cup of water for 10 to 15 minutes. For the best results, use organic Cats Claw Root Bark (available at health food stores and herbalists) and distilled or spring water. Drink 3 cups of tea every day until the condition improves. DO NOT USE if pregnant or nursing. 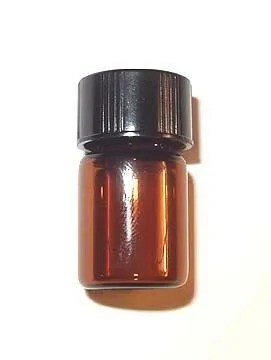 This tincture can be taken for all forms of Arthritis, either Rheumatoid or Osteo. It will also work on long term Allergy conditions (do not use in anaphlaxsys or sudden allergic edema) such as Hay Fever, Rhinitis or mild food reactions. The tincture also has another wonderful effect: It can reduce the agonies experienced after Cancer treatments. It is effective against nausea and pain caused by Chemotherapy treatments. All of these uses have been used and are safe. DO NOT USE if you are pregnant, nursing or suffering with an immune disorder of any kind. Make the tincture this way: Obtain ground Cats Claw Root or Stem materials. Ground to a powder. Either buy it already ground or obtain the roots and stem and grind them yourself. Put 4 oz of the dried powdered herb in a container with a tight fitting lid. Double the amount if you are using fresh roots and stems. Obtain 60-proof alcohol, either Brandy or Vodka, and add in 2 1/2 cups with the ground herb. DO NOT USE treated ethyl alcohol or surgical spirits. Buy the alcohol at a liquor store. Seal up the container with the ground herb and alcohol and place it in a warm place. Shake the container twice a day every day for two weeks. After 2 weeks, strain the herb out through double muslin, gathering the alcohol in a cup or bowl. Squeeze out as much liquid as possible, folding and pressing the muslin until dry. This liquid should then be put into a dark glass jar with a tight stopper. This is an alcohol preparation and it will last a very long time. You can take the drops straight as is, right on your tongue or you can add it to water and drink it that way. The dosage should start at 5 drops at a time up to 3 times a day and you can build it up 15 drops at a time as you feel you need it. Never use more than 15 drops at a time. Always start with the least amount that is effective. If you find the effectiveness is weaker than desired, then you may increase the dosage 5 drops at a time until the effect is felt. If you become insensitive to it or it fades in effectiveness over time, then stop using it and try something else for awhile. DO NOT USE if you are pregnant, nursing or suffering from any immune disorder or disease. Topical creams and ointments can be made from Cats Claw and applied to the skin. It is very effective on Herpes and Viral infections on the skin. It has fantastic antiviral and antioxidant properties and it can really help these infectious and contagious disorders. There are several ways to make ointments and creams from herbs and you can choose to use the one that seems most effective or easiest to use. A simple method: Add two teaspoons (2 Tsp) of dried herb to a single cup (8 oz) of water. Use distilled or spring water if available. Boil as if to make tea and then let simmer until it boils down to a dark color. Strain the herb out of the water through a coffee filter or muslin cloth. 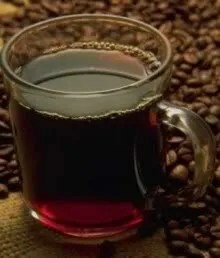 Once you have clear, dark liquid then you should add an equal amount of oil to the tea (any vegetable oil will do; choose organic if you can). Boil the tea and the oil together over medium high heat until the liquid has evaporated. Bubbles should cease to appear and the liquid should roil but not bubble. This is the infused oil and it can be used just like an ointment. Rub it right on. Use as often as needed. To make a cream: Use the same oil mixture as above but add in Beeswax to thicken. For every 2 cups of oil, add 1 oz of Beeswax. That would mean, for one cup (1c) of oil, add in 1/2 oz of Beeswax, for 1/2 cup of oil, add in 1/4 oz of Beeswax, etc… You can melt and blend this combo over low heat until it’s thick and creamy. If you prefer, you can use Cocoa Butter or Lanolin instead of Beeswax. It’s up to you. This can be used as a cream directly on the skin. To make an ointment: Melt and blend 1 ounce (1 oz) of either Beeswax, Cocoa Butter or Lanolin with 1/2 cup of vegetable oil. Melt the Beeswax, Butter or Lanolin slowly over low heat and stir in the oil after it has completely melted. Stir constantly but gently. Do not whip. Once melted and blended, fold in 1 ounce (1 oz) of dried Cats Claw roots and stems (ground) and stir gently over medium heat for about 10 minutes. After heating, strain the herb out over double muslin. This may take some time, so set a strainer or coffee filter or sheet of muslin over a bowl or jar and leave it until fully strained. Toss out the ground herb. You can scrape the ointment out of the bowl or jar and put it into a wide mouthed container that is easy to access. It should be wide enough to reach in with a finger or spoon and should also have a tight fitting lid to keep it from spoiling. DO NOT add Borax to extend life. It is too harsh for skin with rashes or infections. Use a drop of tincture of benzoin if you wish to extend shelf life. Simple fast ointment: Heat 3 1/2 ounces (3 1/2oz) of Petroleum Jelly in an enamel pan or bowl over boiling water (in a double boiler) until melted. Leave to cool. Buy a vial of Cats Claw essential oil and add a few drops to the melted jelly. Put this into a container and label for future use. It will cool and jel again, making it an easy rub on for wounds and sores. Hi just wondering why you should not take this if you have an autoimmune disease? I have Late stage Lyme Disease and this is one of the herbs I take in an effort to rid myself of this disease. Lyme disease is an autoimmune disease. I also take Japanese Knotweed, Andrographis, and Sweet Annie all along with my antibiotics and various vitamins. The first three herbs I mentioned are the core protocol for lyme in the book “Healing Lyme” by Stephen Harrod Buhner. Is there a reason I should not be taking the Cats Claw Bark? I have also been considering adding Teasel Root to the list. I need to beat this disease which is at times very debilitating. Any thoughts you have would be appreciated. Any herb that is known to boost the immune system is harsh on people with hyperactive immune systems. Just be careful how much you use because it can make your symptoms worse.